Are you planning an event or conference? If so, why not consider live streaming video to reach an even wider audience. 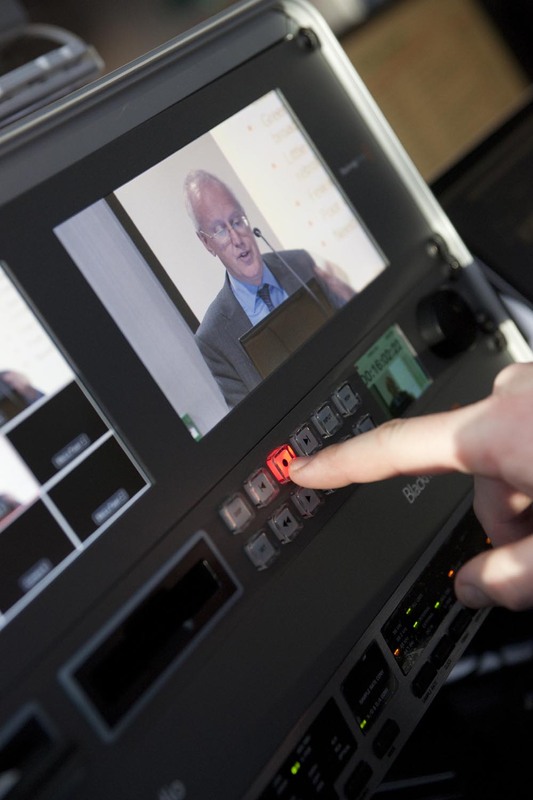 Whether you want to broadcast publicly or stream to a restricted audience, our experienced team will deliver the best solution to meet your needs. Our video streaming service covers everything from pre-production through to delivery of the event and post-event archiving. Our Portable Production Unit can handle up to 6 full-HD cameras with integrated vision and audio switching. Video is encoded and delivered to a robust CDN (content delivery network) for viewing online. Streams can be embedded into a web page, or if you already use streaming services such as Livestream or YouTube, we can deliver the feed straight to your channel. We can also stream directly to your Facebook page or Periscope account. The stream output is also recorded to SSD for fast event archiving and repurposing for syndication and distribution as required. Depending on the location of your event, we can stream via traditional broadband - if there's sufficient upload bandwith, 4G (using network bonding) or KA-SAT satellite internet. How could you benefit from live streaming? The possibilities are endless. Get in touch to see how we can help.